The Home Language Campaign Mini-Grant awardees wrapped up their projects at the end of January. Keep an eye out for a blog post coming soon about how they went and the exciting news they have to share in their final reports. If you haven’t heard already, students from Rainier Beach High School have some wonderful news to share after participating in the third annual Washington State High School Ethics Bowl. Several SE schools are losing their onsite preschools or before/after school care programs. We are currently working with our partners to determine next steps. Creative Advantage Workshop 1: Social Practice In Arts Ed. This is a part of a series of Creative Advantage Professional Development Workshops for Community Partners working in the arts. Free and open to any interested TA, Community Organizations or SPS arts specialists. Online registration required and includes three (3) Washington State Clock hours. For more information, visit this posting. When: Tuesday, 16 February from 6.30 p.m.-8.30 p.m. Details: What is it liked to be an immigrant or refugee in Seattle? How do we address their needs and celebrate their strengths? How have world events and national politics impacted our communities? 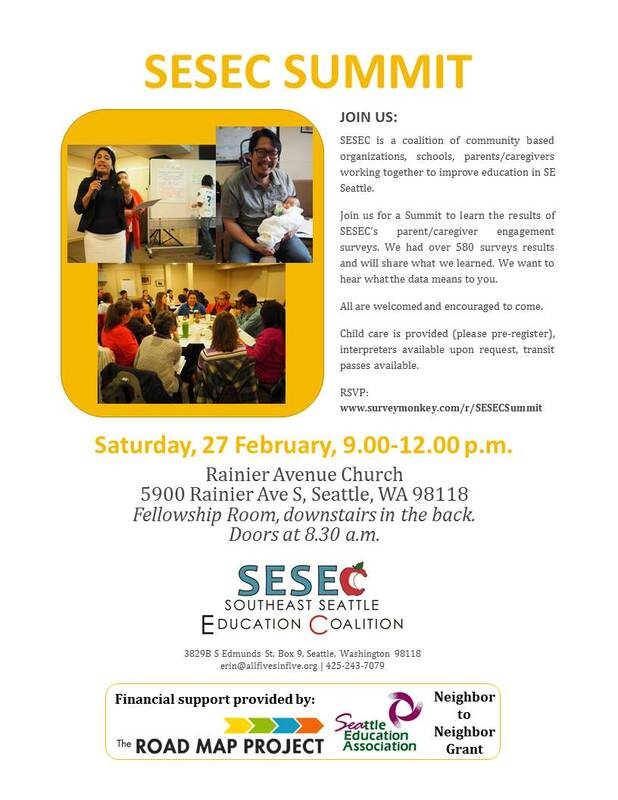 Join us to share your perspective, hear from our panel, and explore images of Seattle’s changing populations. FREE to attend. Light refreshments provided. Interpretation available upon request. RSVP at this link. When: Tuesday, 16 February from 1.00 p.m.-4.00 p.m. 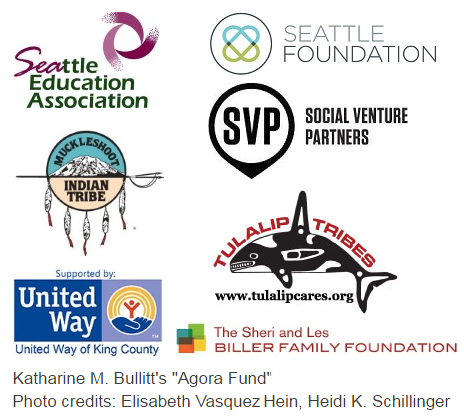 Details: Presented by WorkSource Seattle-King County in partnership with Seattle Goodwill, YMCA, and King County Employment Education & Resources. Attendees: 250+ youth job seekers (16-24 years of age). Please don’t hesitate to call or respond back to this email with questions Bethany Rigtrup [email protected] 206 477-2716, Julie Shor [email protected] 206 477-7040. When: Wednesday, 17 February from 12.00 p.m.-2.00 p.m. Details: Cultural Potluck, Dance & Music. Opening ceremony and food from 12-1pm, dance and performances start at 1pm. When: Thursday, 18 February through Saturday, 20 February (3 day training), 9.00 a.m.-5.00 p.m. Details: Attend the Peacemaking Circles workshop and learn about a process that celebrates our individual and collective experiences as a means to learn and create solutions. It has been used in several communities and companies to create an open, safe environment for making decisions, managing conflict, working through disagreements and creating a healthy work culture. Get training from an expert in the Circle Process, Saroeum Phoung. FEES: $300/person, includes lunch and refreshment. Group discount and partial scholarships are available upon applying. Space is limited. Please register here. Don’t forget to register for the SESEC Summit!